More than 120 people from professional firms in Darlington and the surrounding area attended the inaugural dinner for what is set to become a regular event in the town’s business diary. 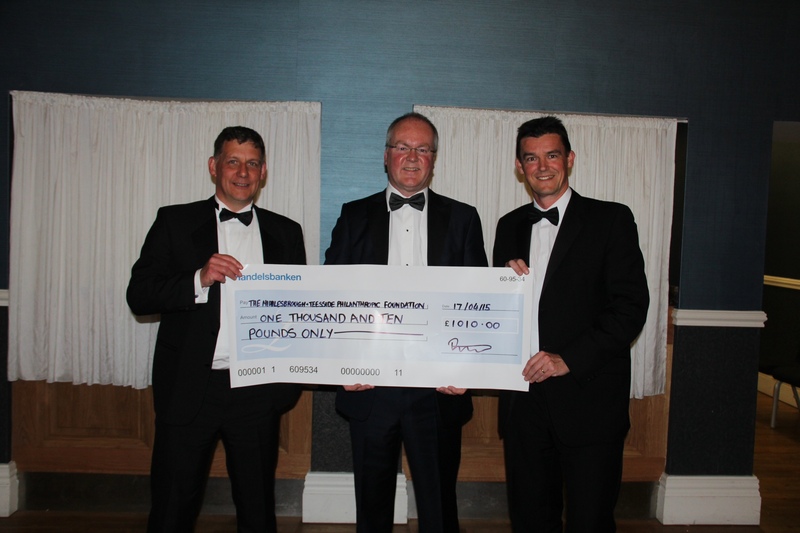 Representatives of almost 20 local enterprises attended Darlington Professionals Inaugural Dinner, at The Mercure Hotel, on Friday April 17, where keynote speaker was founder of business growth consultancy Altrelli Limited, Osmotherley, Alastair Waite, who spoke about the work of the Big Tees Sleep Out Charity and £1,500 was raised with a collection and donation. Businesses including BWC, Active Financial, Clive Owen & Co, Carvers, Darlington Building Society, Bibby Financial Services and HSBC, were among attendees at the event started jointly by head of Newtons Solicitors Darlington office, Gareth Jones, and corporate manager of Handelsbanken’s Darlington branch, David Walker. Alastair Waite, who led the management buy out of The Onyx Group, was awarded Institute of Directors ‘NE Director of the Year’ in 2014 and Non-Executive Director of the Year in the NE Business Exec of the Year Awards. This year he is among one of the Maserati 100 which recognises UK entrepreneurs who give something back by supporting and mentoring new entrepreneurs and businesses. He is also a founder member and mentor at the Entrepreneurs Forum, a governor of Yarm School and University of Teesside and is a trustee of Middlesbrough and Teesside Philanthropic Foundation which supports individuals and organisations making a difference on Teesside. Newtons Solicitors partner, Gareth Jones, says: “David Walker and I organised the event because we thought Darlington, which has a thriving professional community, could support an event of its own.